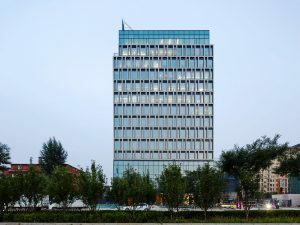 Intellectual Property Publishing House (IPPH) is a Chinese state-owned institution that deals with publishing of patent literature in books, magazines, and other media. 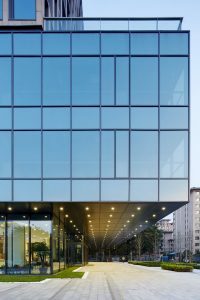 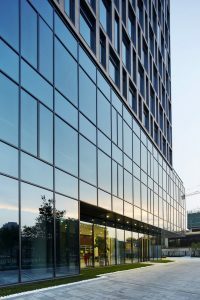 The design of their new headquarter intends to endow the owner with a mature and representative building that combines the functional organization of an up-to-date office building with a narrative architecture and a consistent urban concept. 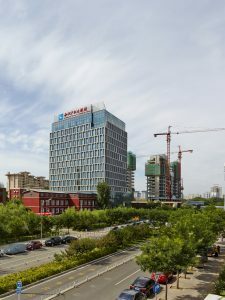 Intellectual Property Publishing House Co., Ltd.
Continue reading "Intellectual Property Publishing House"
A still-to-be-built main road in its north connecting the Second Ring Road (encompassing the ancient city centre) with the National Library area, and a smaller street in the west leading to the north gate of the Beijing Zoo. 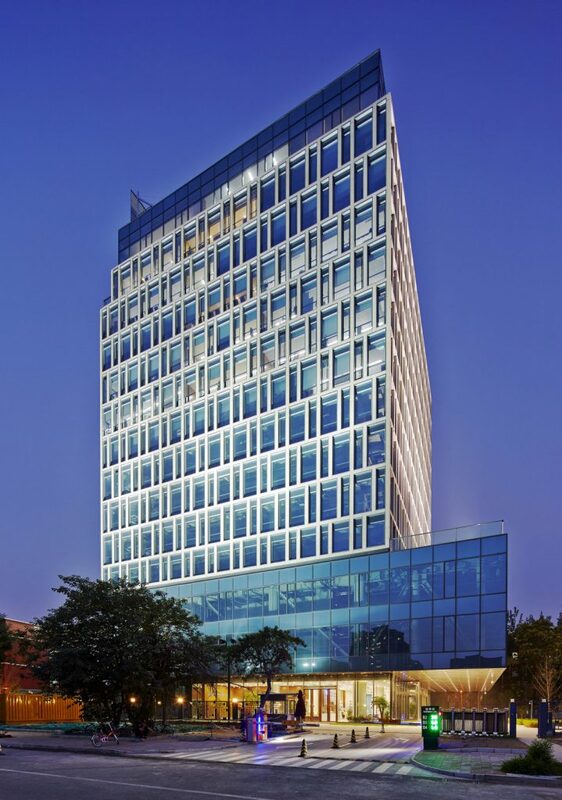 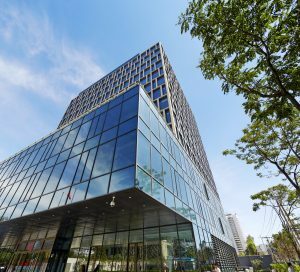 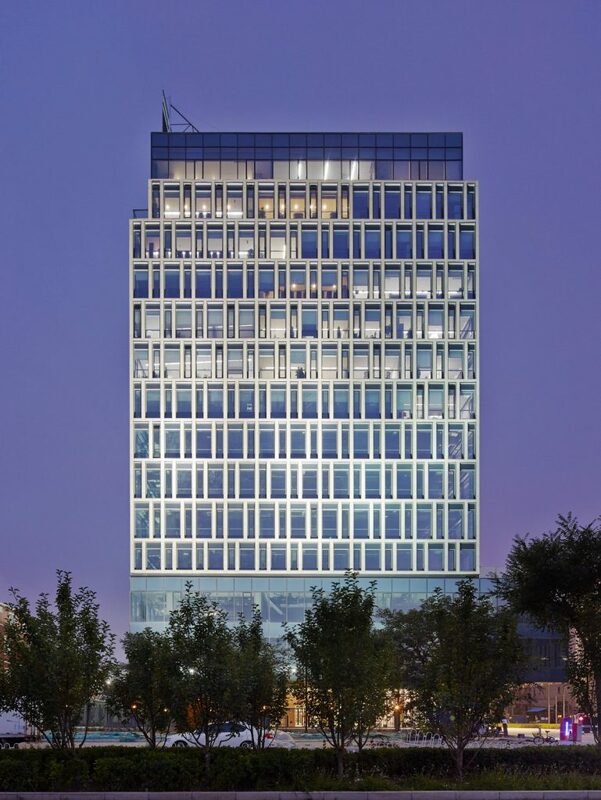 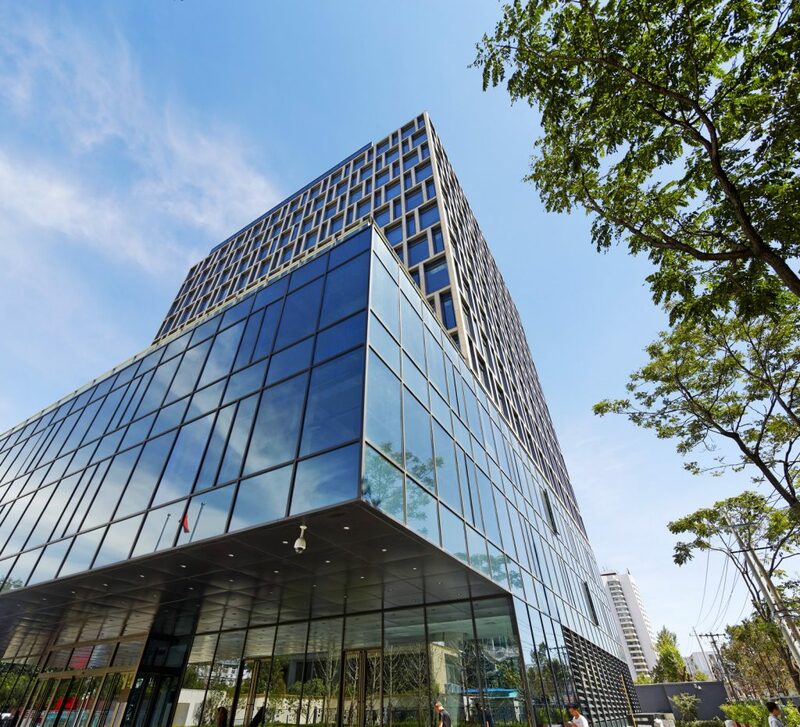 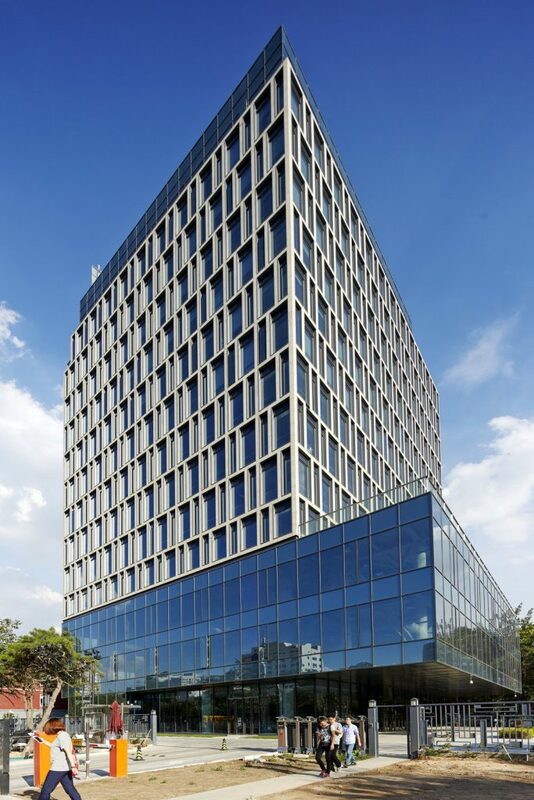 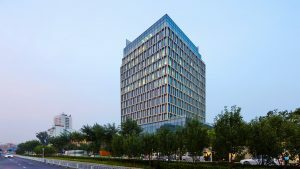 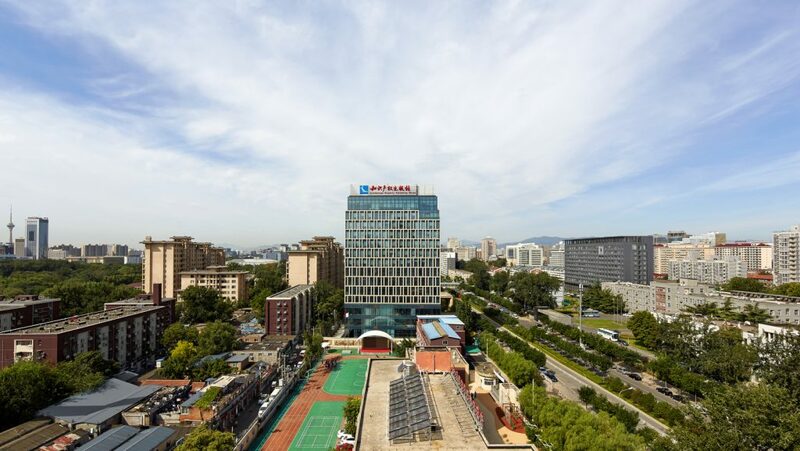 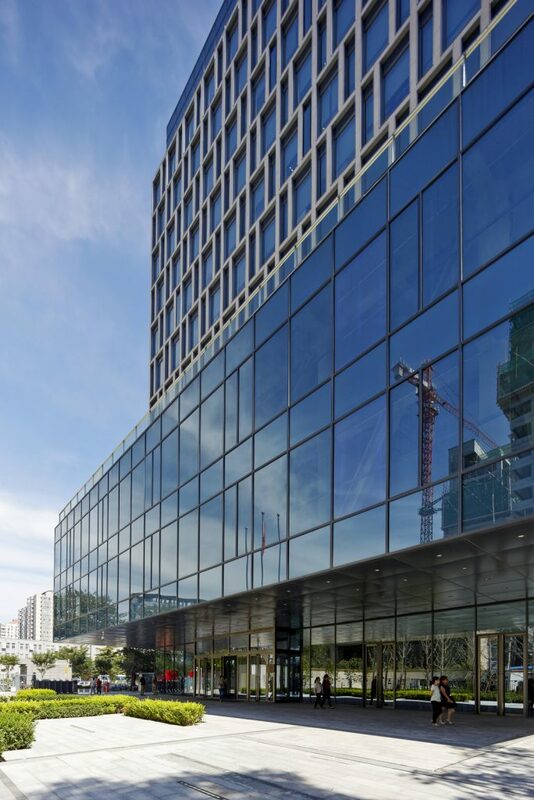 By concentrating the building in the east side of the plot, it receives wider east-west facades which are favorable to an office building, even in China where south orientation is almost a must. RhineScheme decided to take advantage of the particular plot features by positioning a large public square at the street corner. 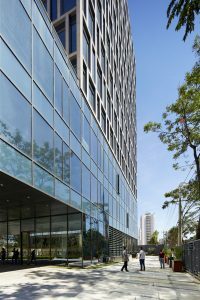 An open – and relatively protected – sunken plaza bounded by a simple landscape design will create a place for meeting and relaxation, giving a distinct name card to the owner-investor and to its cultural matrix. 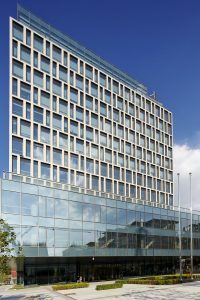 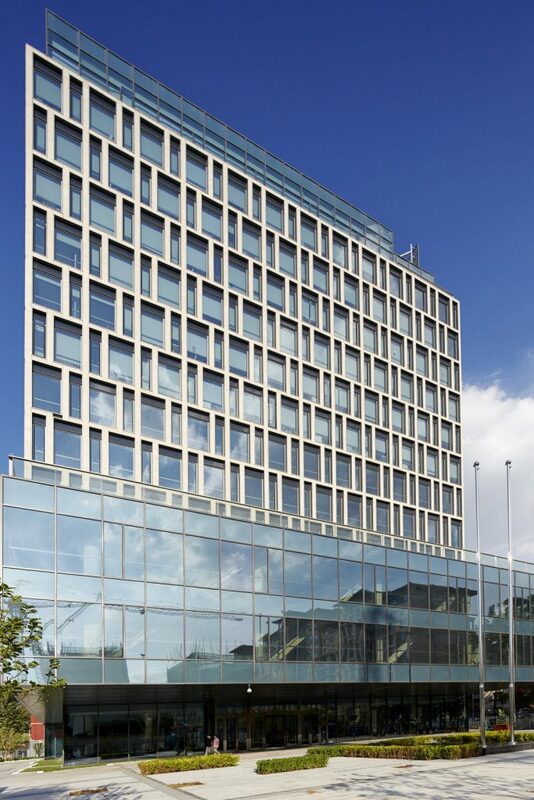 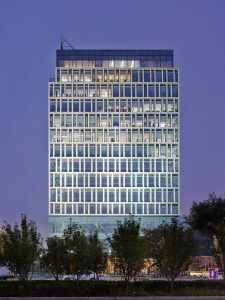 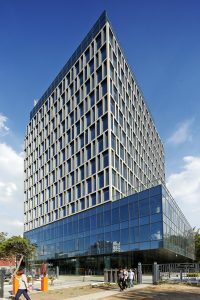 The first three floors and the first underground floor of the 60-meters-tower are for retail and catering, while the remaining twelve levels provide office space. 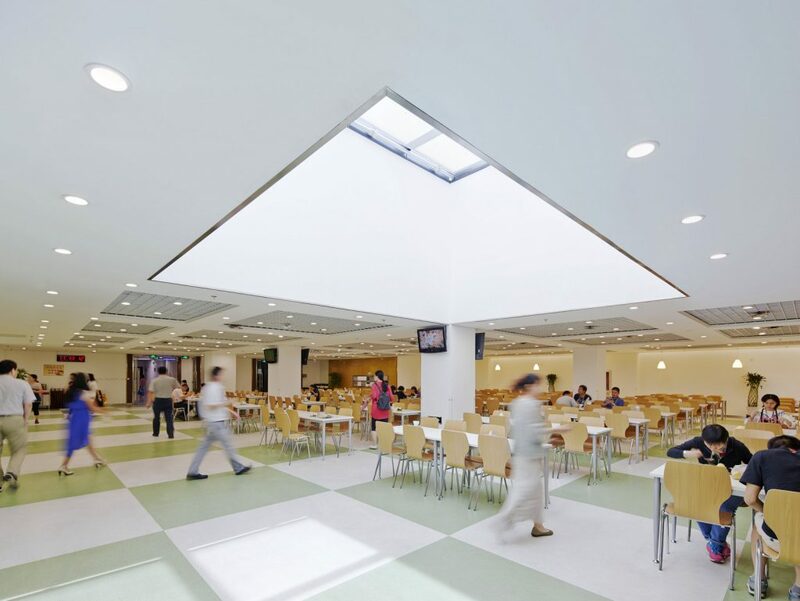 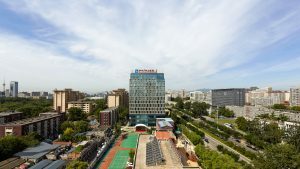 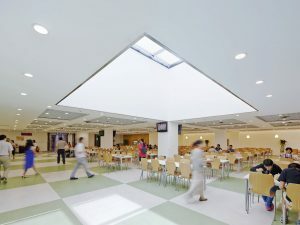 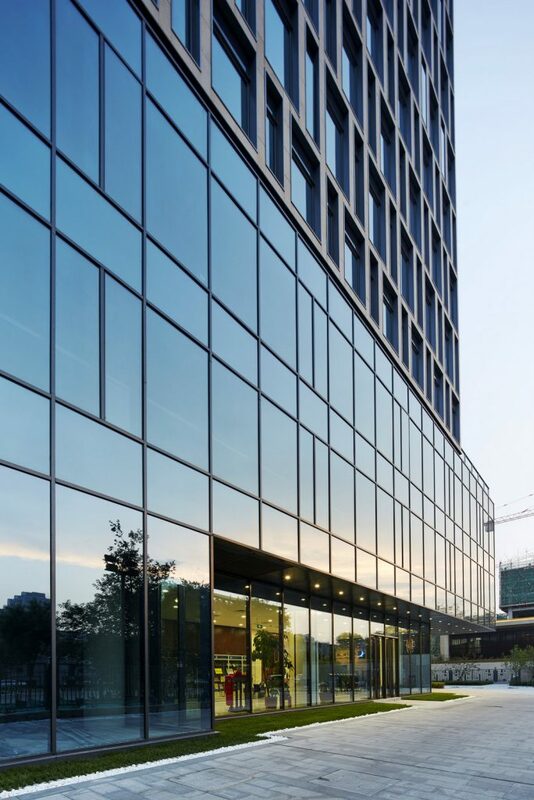 As an answer to the quite particular company culture, the main semipublic functions such as bar-restaurant, exhibition area and conference hall are placed in the top floor. 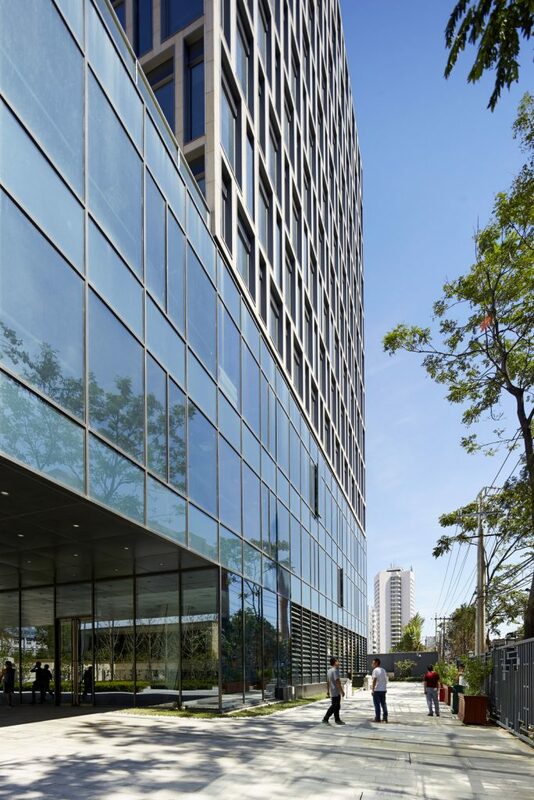 Other areas for meeting and communication are appropriately located close to several overlooking terraces. 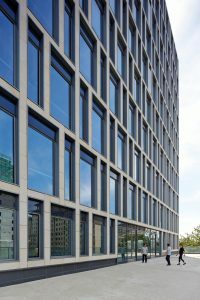 The company’s identity is reflected in the skin of the building which makes a clear distinction between (semi-)public areas and the places for work. 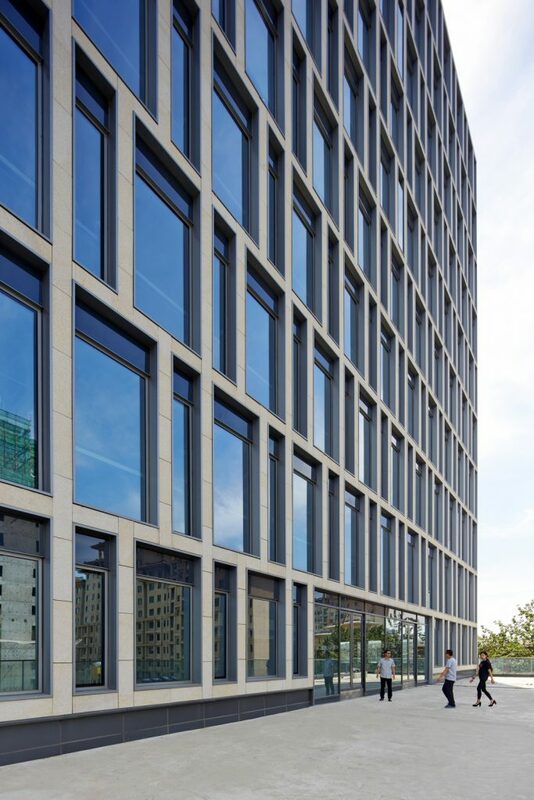 Since IPPH mainly deals with publishing, the office facades create the vivid image of a book shelf, with bigger and smaller, thinner and wider volumes. The project centers on the concept of cultural exchange, and on a well-going interrelation between different functions and users and between public, semi-public and private spheres.